From monumental mega-structures and symbolic statues to ancient peaks and serene, sacred temples, the world is indeed blessed with countless incredible wonders. Let’s start at the beginning with the Seven Wonders of the Ancient World. Compiled by the Ancient Greeks, it listed the seven most incredible wonders of their time, namely: The Colossus of Rhodes, the Greek sun god construction destroyed by an earthquake in 226 B.C; Egypt’s Great Pyramid of Giza; the mythical Hanging Gardens of Babylon; the Lighthouse of Alexandria, the tallest building in the world for centuries and damaged by several earthquakes; the Mausoleum at Halicarnassus in Bodrum; the gold and ivory Statue of Zeus in Olympia, representing Zeus on a cedar throne; and finally the Temple of Artemis at Ephesus, eastern Turkey, which was rebuilt several times over and listed in 323 B.C. Why seven you might ask? The number seven was chosen because according to the Greeks, it represented plenty and perfection. It was also the number of the five planets known to ancient Greeks, plus the moon and sun. More recently, people have continued to honour the Greek tradition. The New7Wonders Foundation organised the latest such naming, based on modern methods: online votes cast on some 200 monuments from around the world. Chichen Itza, Yucatan Peninsula, Mexico – Mayan City with numerous archaeological remains dating to 600 A.D and one of the most visited archaeological sites in the world. Christ the Redeemer, Rio de Janeiro, Brazil – The large, iconic statue sitting above the city and inspiring Brazilians since 1931. The Great Wall, China – The immense 6,437 kilometre-long man-made wall built in 700 B.C to protect against Mongolian invasion. This is the only structure visible from the moon. Machu Picchu, Cusco, Peru – Also known as “The Lost City of Incas”, this peak is a sacred archaeological centre and is under continuous restoration. Petra, Jordan – An ancient UNESCO-listed city built in 312 BC. 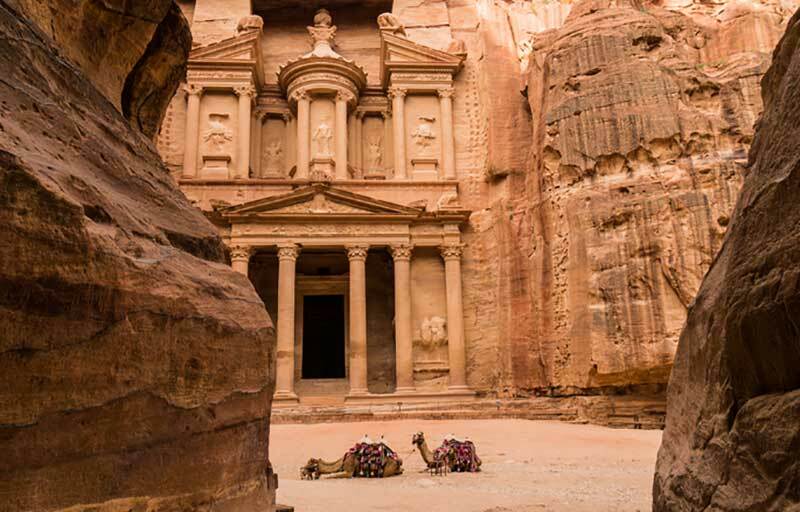 Petra, also known as the Rose City due to the colour of the stone used to create it. The Roman Colosseum, Rome, Italy – This gigantic 2,000 year old venue hosting some 50,000 spectators was once used for watching Gladiators fight for life and pride. The Taj Mahal, Agra, India – Built for Mughal Emperor Shah Jahan’s love, this is not just a beautiful, white marble building but a tale of emotions and romance. Do you have a favourite wonder that you would vote for given the chance? Do let us know on Facebook.